When M.B. 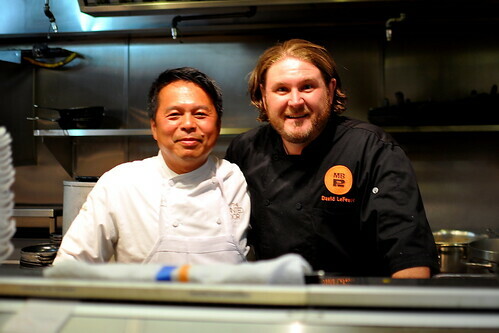 Post’s Chef David LeFevre and Slanted Door’s Chef Charles Phan joined forces last Monday night in the name of charity, the results were nothing short of fantastic. While Chef LeFevre is best known for his way with seafood (and bacon cheddar biscuits), Chef Phan is a pioneer of “modern Vietnamese cooking.” The chefs found common ground this evening in their mutual appreciation for bold, Southeast Asian flavors and ingredients. 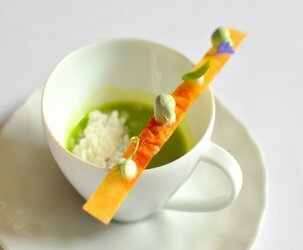 In spite of their different backgrounds and strengths, the menu gelled harmoniously. This unique kitchen collaboration was made possible by Common Threads, an organization that both chefs support, which is dedicated to educating children on the importance of nutrition and physical well-being and to fostering an appreciation of cultural diversity through cooking. The “four” course, family-style dinner began with a hamachi crudo with crispy shallots and Thai basil from Chef Phan. I’ve eaten crispy shallots on top of just about everything from noodles to crepes and sticky rice, but never atop raw fish. 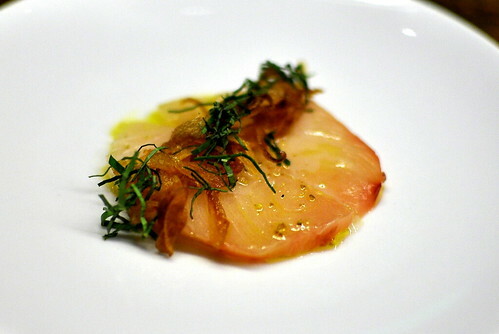 The thin, caramelized bits paired beautifully with the thick-cut yellowtail. The second round of dishes featured a dynamite preparation of clams with pork, chilies, Coastal Organics heirloom tomatoes, ginger, and Thai basil from Chef Phan. 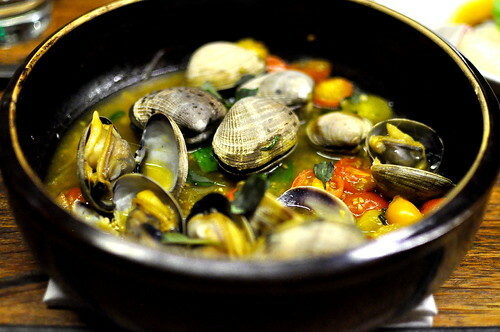 The deftly seasoned dish allowed the meaty clams and ripe tomatoes to shine brightest. 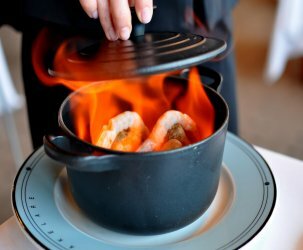 Served in tandem with the clams were Chef LeFevre’s ginger shrimp dumplings with black sesame, chili oil, and scallions. 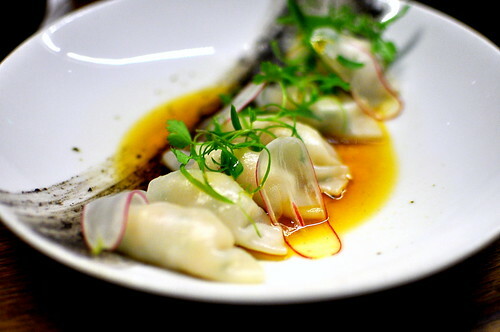 It took Chef three weeks of intense research and testing to develop the dumplings’ wrappers, and the valiant effort was apparent and appreciated with each bite. Fans of M.B. Post would be so fortunate to have this dish available on the restaurant’s menu. 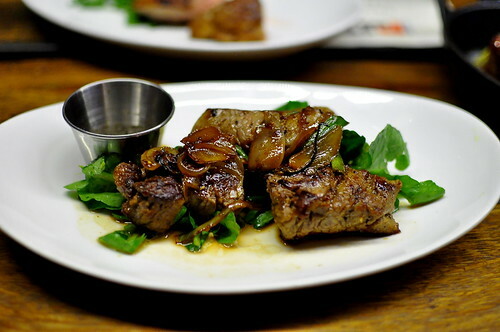 The third wave of dishes brought an incredible “Crispy Fragrant Duck” with watercress from Chef Phan. He carried these air-dried birds on the plane with him from San Francisco, then fried them twice before hacking ’em up and sending them our way. 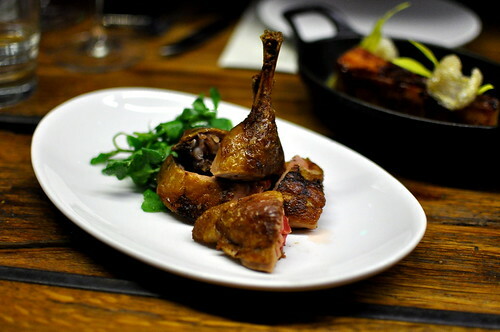 The duck’s skin was taught, crisp, and redolent of five spice, while the meat was impressively moist. 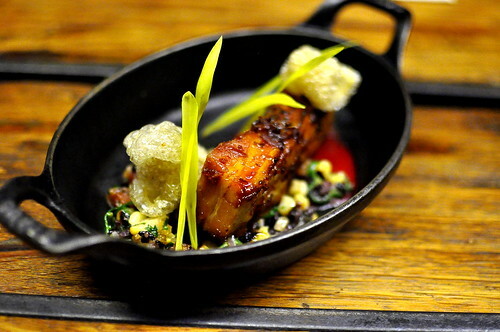 Chef LeFevre’s confit pork belly with spring onion strewn wild rice, corn, and padron peppers was equally impressive. The belly, rich and tender, was reigned in nicely by summer’s sweetest, snappiest kernels of corn. For dessert, both chefs’ offered something light and smooth. 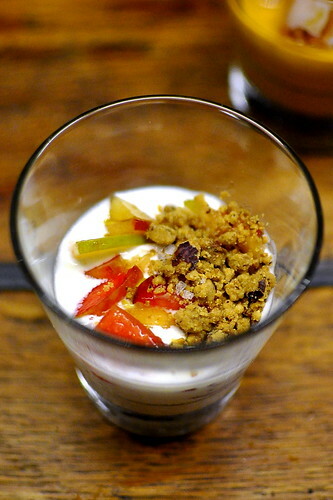 Chef Phan prepared a classic soft serve with plums, olive oil, and streusel. The large flake salt in the streusel really made this dessert sing. 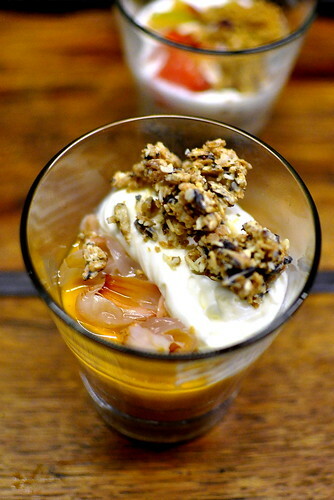 Chef LeFevre’s Thai tea panna cotta with lychees, puffed forbidden rice, and white chocolate hit a different but damn satisfying note. Mmm…Thai tea. Chef Phan and Chef LeFevre really hit it out of the ballpark this evening. I hope this dream team gets together for a reunion tour. My belly is patiently waiting. 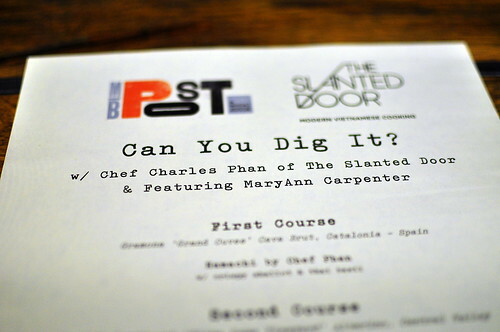 Love, love, LOVE Charles Phan’s cooking. 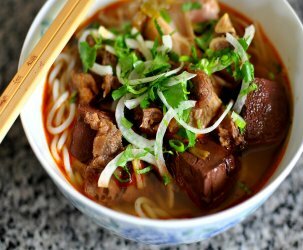 Full of bold flavors and stellar ingredients.